In 2-quart saucepan, heat water and carrots to boiling; reduce heat. Simmer uncovered 8 to 11 minutes or just until crisp-tender; drain. 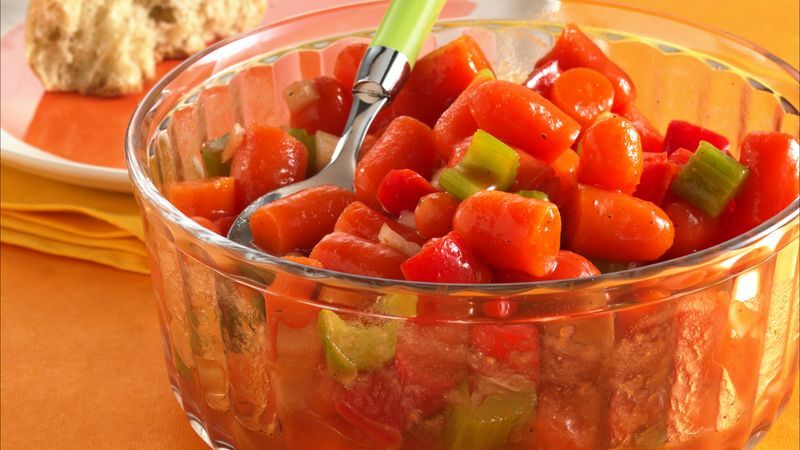 In large bowl, toss carrots, onion, bell pepper and celery. In 1-quart saucepan, mix remaining ingredients. Heat to boiling. Pour over vegetables; toss gently. The beauty of this recipe is that it's prepared ahead of time and has a couple of steps--the perfect recipe to get the crew involved. Everyone can take a role, from washing the carrots, to cutting the vegetables to stirring the marinade.